Every dish tastes like a masterpiece when properly seasoned. Are you a pro chef or a beginner? 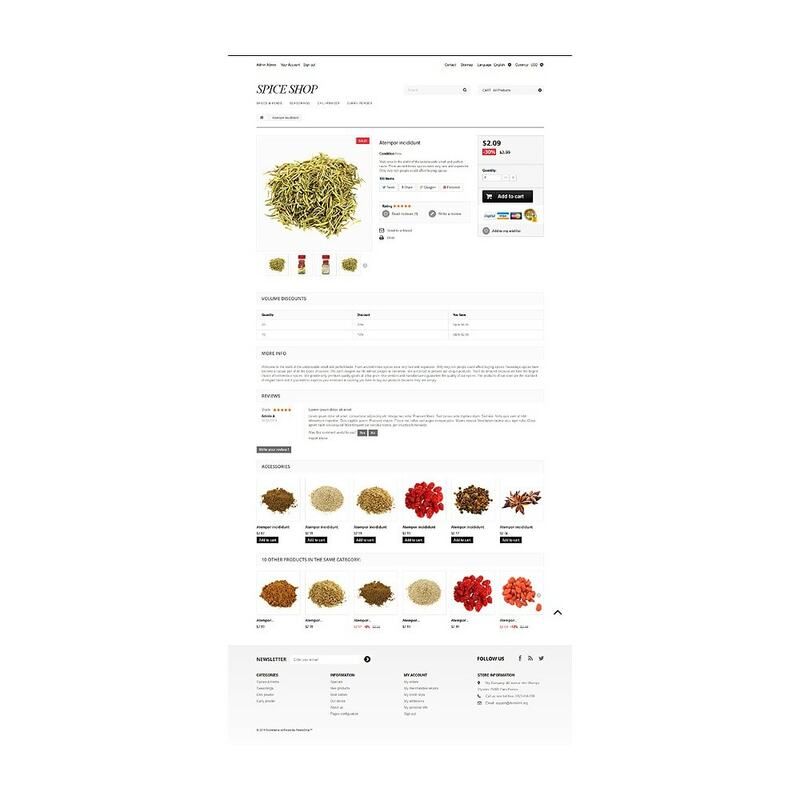 A rich collection of spices and herbs is just what you need to make every meal delicious. 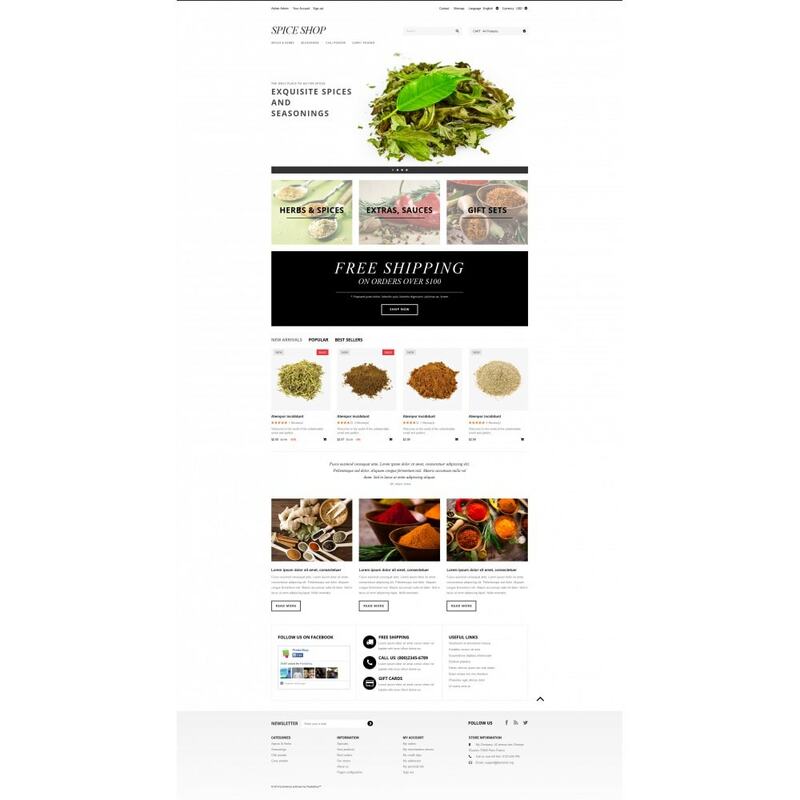 Not to waste your precious time on going to the grocery store, you may shop all you need online. This theme is a great example of how to use space on your estore effectively, combining strong visuals with informative descriptions, appropriate quotes and user testimonials to help clients with decisionmaking. 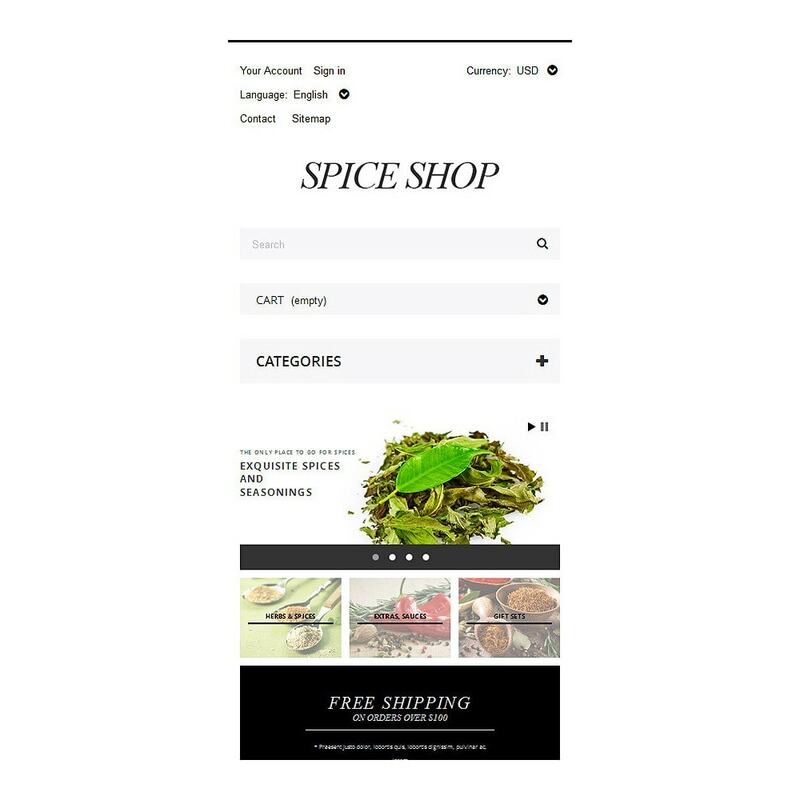 Once people come up with your site, they will be introduced to your special offers, the full range of product categories, as well as several recommendations on how to use spices and herbs properly. 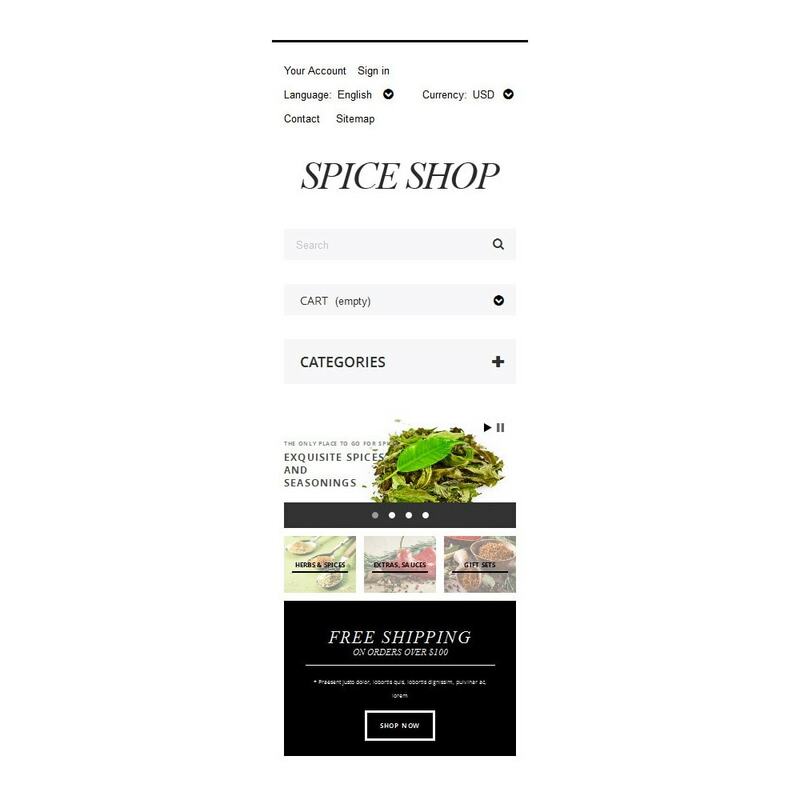 All this combined with vivid calltoaction buttons allows customers to start shopping right from the home page. 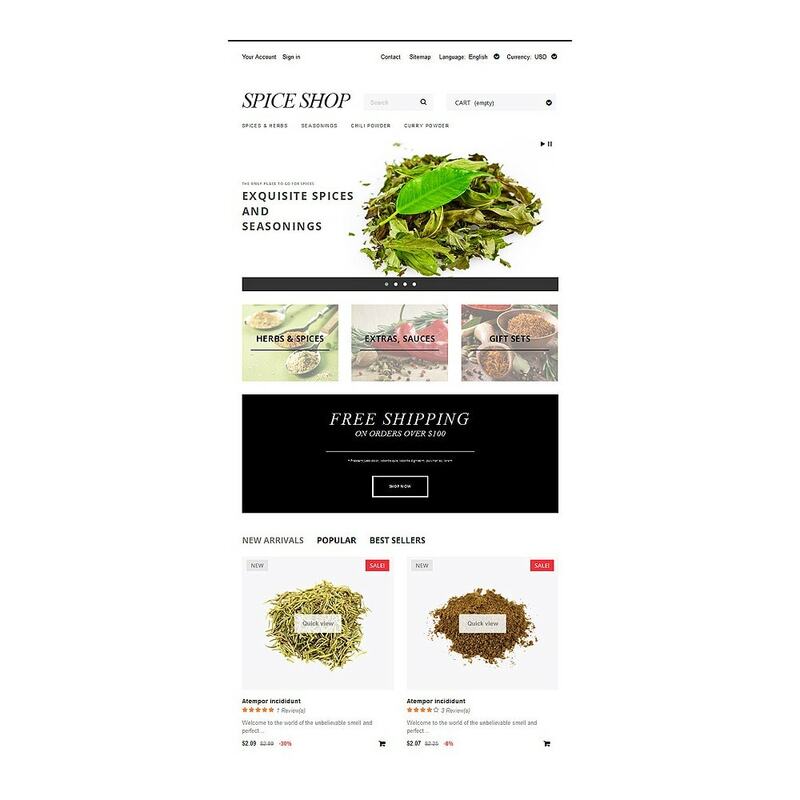 Grab this design for dressing up your spices store and get ready for a rush of customers. 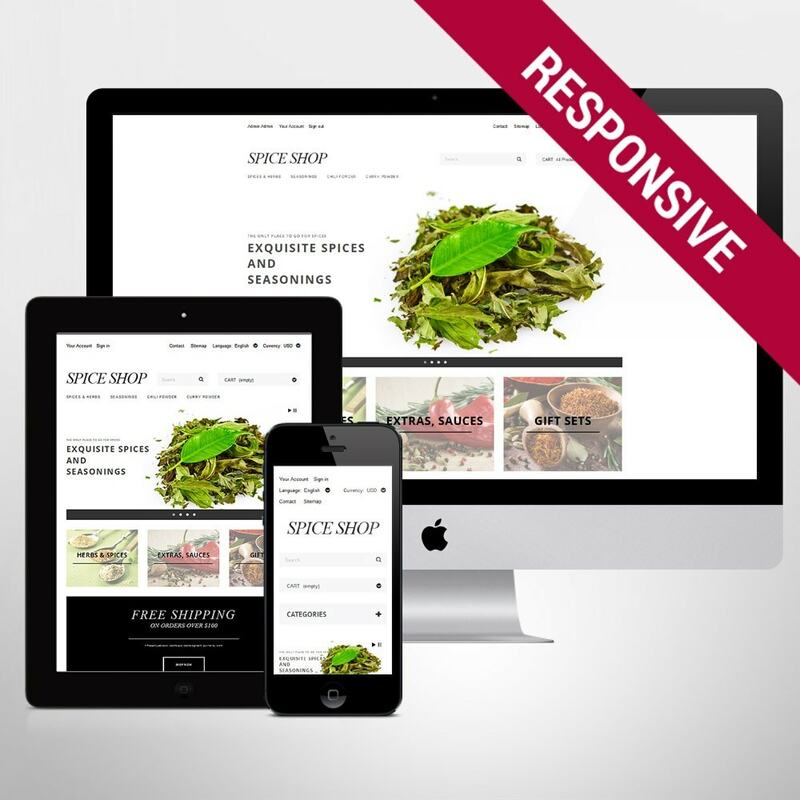 Pick this template for food and drink, restaurant, agriculture, fashion, and beauty sites.